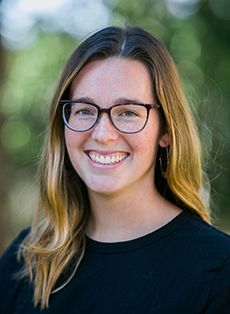 Abbey Warner joined the Pacific Institute in 2017 as a research associate. She conducts research and analysis on water stewardship target setting, corporate water risk, private sector engagement in water security, and the intersection of water and industry within the United Nations Sustainable Development Goals. Abbey first joined the Pacific Institute as a Congressman George Miller Water Policy Leadership Program Intern in 2017. Prior to joining the Institute, she interned at a Bay Area nonprofit doing wetland ecosystem restoration and at a sustainable family farm in Montana. Abbey holds a B.S. in Conservation and Resource Studies from the University of California, Berkeley.